Cummins reman engine assemblies for sale including the Cummins N14, Cummins ISX, Cummins Signature 600, Cummins ISM and other Cummins reman engine for sale. All Cummins engines for sale by Kustom Truck are complete with OEM Cummins warranty. Cummins factory reman engines including Cummins N14, Cummins ISX, Cummins Signature 600, and Cummins ISM reman engines. The Cummins N14, Cummins ISX, Cummins Signature and Cummins ISM engines are available in a wide range of horsepower options from 400HP to 600HP and up to 2050 foot pounds of torque. All Cummins reman engines for sale by Kustom Truck come with Cummins OEM warranty registered serial number specific in the purchaser's name through any authorized Cummins dealer in North America. Cummins OEM factory reman engines including the Cummins ISM and other Cummins reman engines are for sale from Kustom Truck. Before you purchase your next replacement Cummmins ISM reman engine, contact Kustom Truck. OEM factory reman Cummins engines for sale including the Cummins ISX and other Cummins reman engines from Kustom Truck. 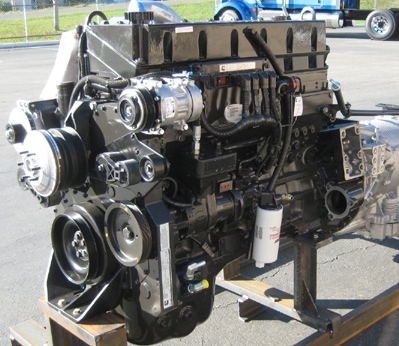 Before you purchase your next replacement Cummins ISX reman engine, contact Kustom Truck. Cummins OEM factory reman engines including the Cummins N14 and other Cummins reman engines are for sale from Kustom Truck. Before you purchase your next replacement Cummmins N14 reman engine, contact Kustom Truck. Cummins OEM factory reman engines including the Cummins Signature 600 and other Cummins reman engines are for sale from Kustom Truck. Before you purchase your next replacement Cummins Signature 600 reman engine, contact Kustom Truck. To spec and purchase your next Cummins Reman Engine call toll free 1-888-564-8890. For more information on Cummins reman engines visit our Kustom Truck website: http://www.kustomtruck.com/engines.html. Cummins reman engines for sale, Cummins N14, Cummins ISX, Cummins Signature 600, Cummins ISM.